We moms are always asking each other where to take our toddlers for fun. We have a handful of outings we keep in rotation that I thought I’d share in hopes that they spark inspiration! I’d also love to hear ideas from you. We have a few in town, notably Sweet Haus and Great Harvest! I meet friends at one of these two places for afternoon tea/coffee a lot. We talk and the kids love to play. 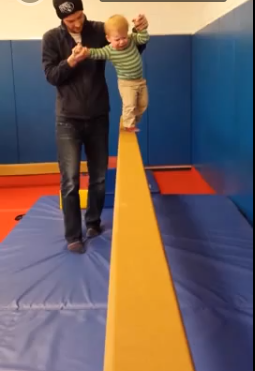 Mazen just started his first class – tumbling! Our rec center offers everything from a walk-in gym play time to a $5 drop-in art class to regular sign-up classes like tumbling. It was inexpensive for a 5 week session at $35. This is hard when the weather is bad, but when it’s nice we go to the playground all the time! Mazen just loves climbing on the equipment, swinging, sliding and getting his energy out. I CAN’T WAIT FOR SPRING! We joined as a family membership ($75 for the year) to our local Discovery Museum and you can bring everyone in your family with you for free. My parents, Matt and I all took Mazen together when they were in town – it’s a good deal considering otherwise each person (adults included) costs $6. Our museum is very small compared to big city versions, but it has a great couple of rooms where Mazen loves to play and explore. We can always count on a great afternoon there. Mazen and I have taken yoga together a handful of times, and it’s always a sweet morning. He likes the music and props and I like containing him in a child-proof room and relaxing. When it’s cold and rainy we go to the mall so Mazen can run around. We spend some time in the kids play area or on the merry-go-round but really he just likes to explore the corridors. It’s fun to go and try out a new selection of books. Some of the libraries in town have story hour but they haven’t been at the best times for us. I hope when M’s a little older we can go to more of these. I’ve taken Mazen to our Bounce and Play before – a big indoor jumpy gym. He enjoyed the toddler-size jumping and it was a great way to pass the morning. 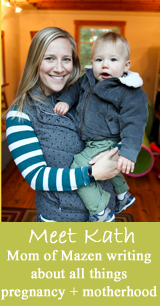 I’d also love to hear some outing ideas from you guys – what do you do with your kids to prevent cabin fever? I love these ideas, but living in a small rural community in Michigan we don’t have ANY of these options! We are expecting our first child the end of March and I am dreading trying to find entertaining outings. There is a small mall, library, and a McDonald’s with a (somewhat gross) play area, but even those are about a 40 minute drive each way. Oh to live in a “real” city…. Our rec center has open swim time for families so we try to get to that during the winter. I just hate that everything to do around us costs money and there aren’t very many free options. Where is the Bounce and Play in Cville? We are in Nelson and I would love to take our kids! I’m a nanny for a 22 month old, and he LOVES the train table at Barnes & Noble. They also have a LEGO table, and with the in-store wifi and cafe, it’s really nice to be able to enjoy a cup of coffee while he plays and meets other kids! This is great inspiration! I also go on walking trails with the stroller 🙂 I think anything to avoid cabin fever is a go. 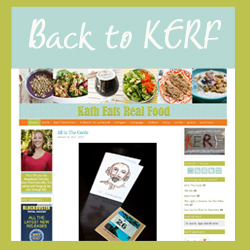 FYI…KERF hasn’t had a new post in 2 days. It was showing a post from feb 6 then it is still showing the blender post. Just to give you a heads up! So nice to have a rec center with such inexpensive classes! Our local library has a little (young) kids corner with board books, blocks & some simple toys. As a younger toddler Lucy loved going there to play, not just for story time. We also relied heavily on just rotating houses to play at with different friends – if everyone hosts a few toddlers once every couple months, it’s a fun way to get together in a new environment. We definitely hit up a lot of the places you mention and also do music class, story time at the library, Barnes and Noble to play with the train table and look at books, sometimes Chick Fil A because they have a decent play area. And our Babies R Us and Toys R Us are in the same building so sometimes if I need something at BRU it’s a good outing because they also have a train table to play with and looking at the trucks is also fun! You have such great places! I live right outside NYC (literally 10 minutes) in a very populated area and we have NOTHING! No rec centers with classes and the private places are super expensive. Most of the times aren’t convenient for working moms either. We do have great libraries but we definitely can use some nice bouncy, get the energy out type places around here. The south is so cheap!!! 5 classes for $35 is amazing. I love the LA weather (have to laugh when it’s 60 and overcast and no one is at the playground because it’s too “cold”) but dang it’s expensive!! Great ideas Kath. Bookmarking this post for when our little one gets here. Thanks! In addition to what you have mentioned, we do swimming at the indoor pool with friends along with parent/tot swim lessons and play dates at friends’ houses (new toys to explore at each house!). Our rec center has open gym time where parents can play with their toddlers on the gymnastic equipment, parent/tot gymnastic lessons, and parent/tot dance lessons. That is interesting about your library- most childrens’ departments specifically schedule story time around children’s “typical” nap times. Hopefully it will work out for you at some point- our story time is great, lots of interactive songs, stories and activities! Posts like these make me wish I didn’t have to work outside of the home 🙂 Looks like you guys have a lot of fun! We try to have fun on the weekend!! 🙂 Wish the weather would perk up, for sure! Some of my dearest mom friends to this day I met taking tumbling classes at Carver Rec. Honestly, we got very spoiled living across the street from Greenleaf Park – we were there every day, as much as we possibly could be. We also spent a good bit of time at Crowe Pool back when it was open to the public for rec swimming. I know Smith is far nicer, but Crowe had a definite neighborhood feel to it and on days when it was too cold or gross to go to the park, we’d all head down to Crowe instead. We do a lot of these! We also take our little ones 3 and 1 to the student union on the college campus. Just a few blocks away from our house. Big spaces to walk around, bowling, a small art gallery, sometimes music or a Badger game, and sometimes some delicious ice cream! Oh man, be SO happy you don’t live in NYC…I used to coach gymnastics classes here for toddlers Mazen’s age and it was 900 dollars PER SEMESTER (of 15 classes, 45 minutes once a week). A drop in class was something like 65 dollars? Crazy.